Garbage collectors' frustration was clear on Wednesday as a city committee voted to move forward with a plan to consider contracting out garbage in Scarborough. The entire city council will now get a say whether or not to launch a competition to privatize garbage collection east of Victoria Park Avenue, something Mayor John Tory called for last week. Brian Demareski, who has worked as a collector for 20 years, said Scarborough (known as District 4 on the city's waste collection map) is the most cost-efficient area run by unionized workers. And he said he doesn't see how a private company can do it any cheaper. Several councillors attacked the plan on similar grounds, citing 2014 figures — the most recent to be made public — that show garbage collection in Scarborough costs $126.89 per home, while in District 1, or Etobicoke, the cost is $142.86, even though that area has had privatized garbage collection since the mid-90s. Public Works Chair Jaye Robinson said those numbers, however, are misleading because the city evaluates cost based on how many tonnes of garbage gets hauled, not the price per home. Robinson said city staff haven't provided the cost of collection by weight — a statement that immediately drew the ire of the waste collection workers who were watching the chair take questions from reporters. "They know the savings aren't there," said CUPE Local 416 leader Matt Figliano. "But yet, here were are talking about contracting out." That battle of numbers played out throughout the daylong meeting, with councillors on both sides of the debate trying to figure out whether or not to launch what they're calling a managed competition process. That would pit private waste collection companies against public workers in bidding for a six-year contract with the chance of two one-year extensions. 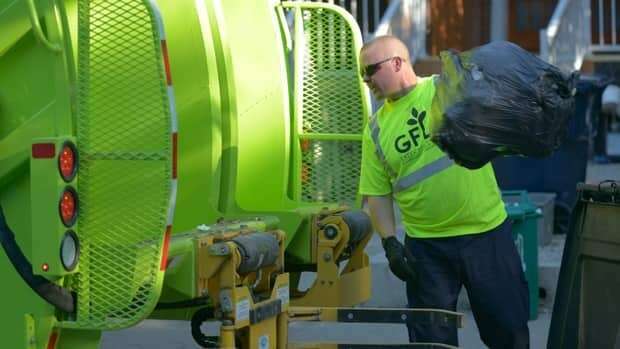 CUPE Local 416, which represents the city's waste collectors, could win the contract, but as councillors found out, it would be city staff that lays out the terms of their bid, with the union's approval. Figliano said he's especially frustrated as the union just signed a new collective agreement in 2016. "We asked them clearly, is there anything we can do in regards to solid waste? And we got a flat no," he said. Eventually, the committee voted 3-2 in favour of going ahead with the plan, with Councillors Giorgio Mammoliti and Chin Lee voting against it. Mammoliti also introduced an unsuccessful bid to indefinitely defer — or essentially kill — the motion, saying it was the "fair" thing to do and he didn't think the competition would save money. The committee did approve a motion from Robinson that requested city staff provide more information about the number of employees who would be affected by the move. Earlier in the meeting, councillors objected to Robinson saying 91 workers would need to be redeployed, saying that information was meant to be confidential. Robinson said she was allowed to use the number. City data compiled by the Toronto Environmental Alliance (TEA) shows Scarborough currently has the highest waste diversion rates in the city, and that Districts 3 and 4 have performed better in the last three years. Emily Alfred, TEA's waste campaigner, said city council should wait and see what Scarborough is doing right before it moves to privatize collection in that area. "This absolutely warrants extreme caution," she said. Alfred said it's unclear what's behind the difference and that it deserves further study. Alfred did note, under questioning from Robinson, that her organization had received funding from CUPE Local 416 in the past. Bob Rae, the former federal Liberal leader and former Ontario premier, also appeared before the committee to argue against the privatization push. Rae said the city already has an ideal "competitive tension," with public and private garbage collection groups keeping each other's costs in check. "I'm not sure we should be upsetting the balance," Rae told the committee. "This is playing with people's job security. This is playing with people's dignity." Rae also questioned the fairness of asking garbage workers, who just approved a new collective agreement last year, to essentially bid against themselves to go after the contract. "What's the morality of that?" CUPE Local 416's representatives say they are considering pursuing legal action against the city over this matter.